Finally, my drinking is being sponsored. A friend who does PR for a distillery sent me a new premium Tennessee whiskey to try out – Uncle Nearest. Similar to Knob Creek, it makes an excellent Manhattan and, at 100 proof, will warm you up on a cold day. Made from Tennessee grain, filtered through charcoal and aged in oak barrels, it tastes like bourbon but is technically not a bourbon for legal reasons. 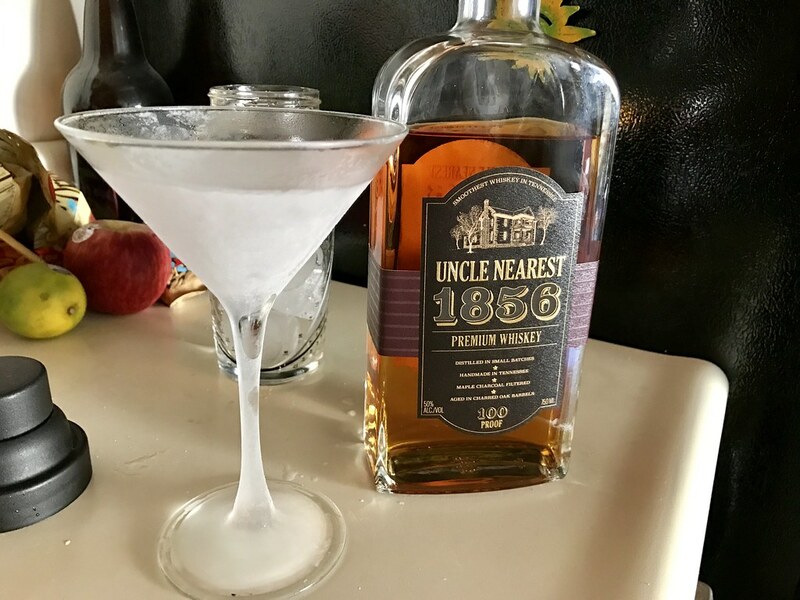 But what’s most interesting is the story behind the spirit – Uncle Nearest honors Nathan “Nearest” Green, the first African-American master distiller on record in the United States. Born a slave, Green worked for Dan Call, a farmer, preacher and whiskey maker. When young Jack Daniel wanted to learn the tricks of the trade, Call instructed Green (now a free man) to teach him. Author Fawn Weaver, who has been researching the Green family, and recently launched the Nearest Green Foundation, met with his descendants. When you drink whiskey, you’re drinking history, American water and grain aged in barrels until it becomes magic. The forgotten story behind Nearest Green just adds to the experience of enjoying this new spirit. As mentioned in my previous post, it’s time to walk. Walk hard. I pulled a muscle in my calf so I can’t run for a while. Instead, I’m going to walk around this city – a different direction each time – and blog about the things that I see. This week’s adventure: Meridian Hill and Millie Al’s. I had to visit Millie & Al’s one last time before they closed. 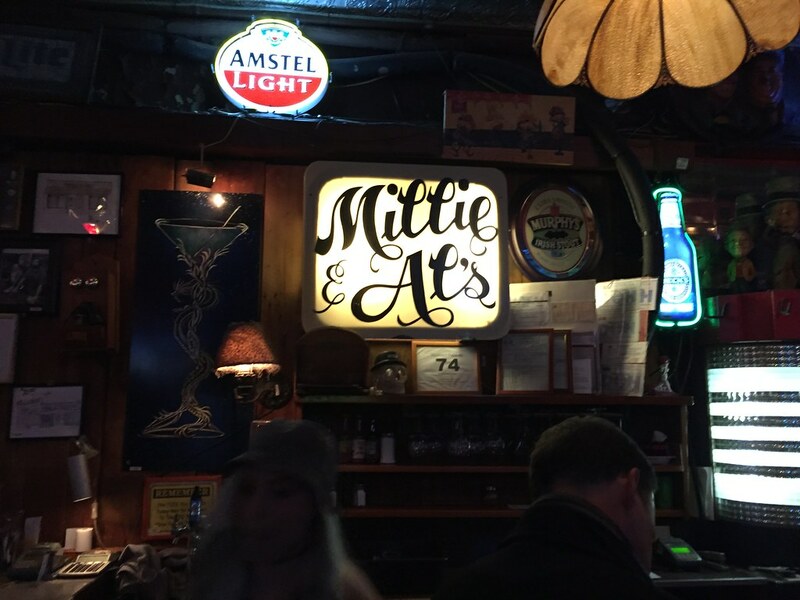 Millie’s is an iconic dive bar that’s been on 18th Street in Adams Morgan for decades. 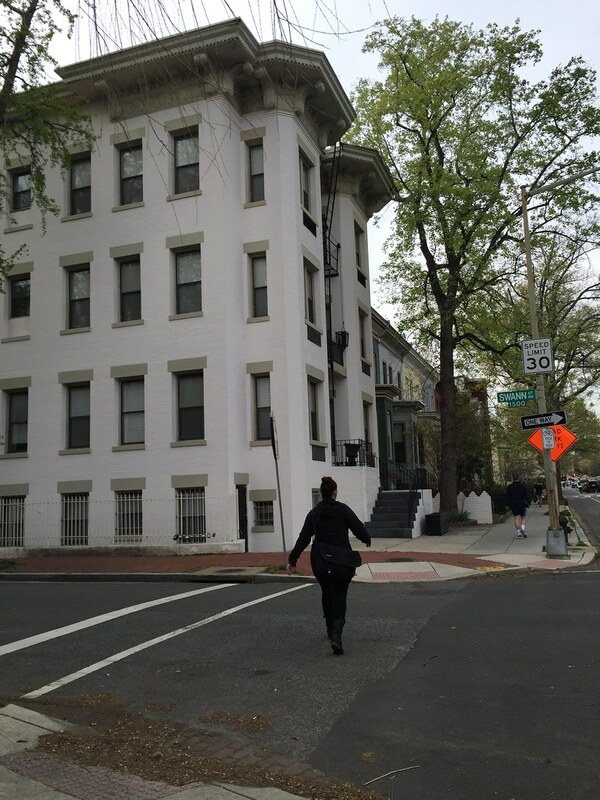 Leaving my Logan Circle apartment, I set off up 15th Street on Wednesday after work. Musical choice was the excellent new album from Blur, The Magic Whip. Spring is a funny season in DC. Warm one day, freezing the next. I happened to catch Mother Nature on one of her nice days, mild and overcast. If you follow me on Instagram, you know that I have Tulipmania. 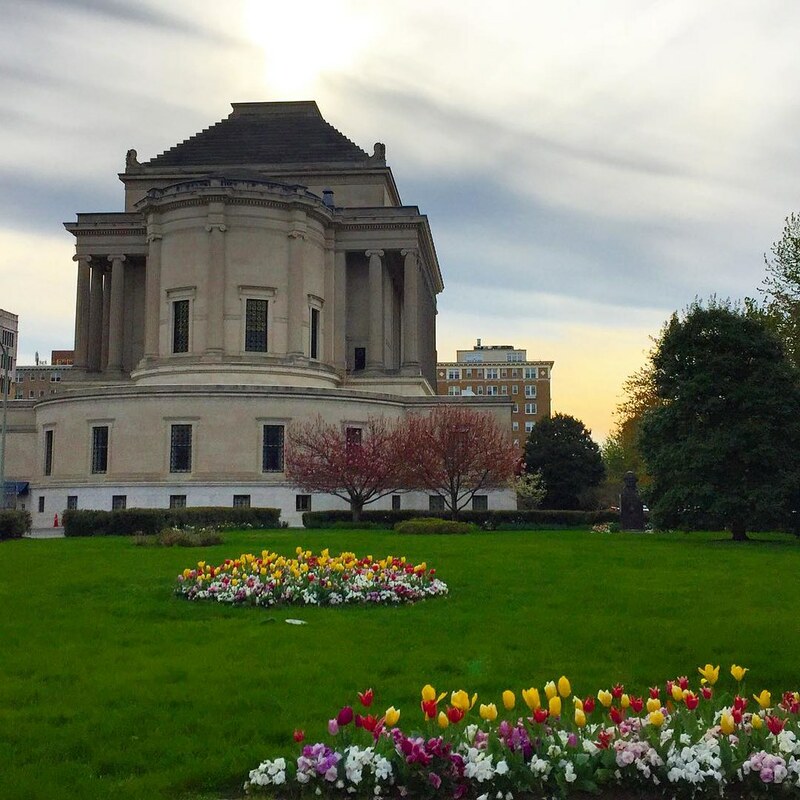 I’m just in love with these splashes of color that blossom all over the city in April. Sometimes, they appear in the most unexpected places, like behind the mysterious Scottish Rite Temple on 16th St. I’m sure the flowers are used in some sort of mysterious ritual. Or maybe they’re just for the neighborhood to enjoy. I passed the apartment where I used to live, back in the 90s, pre-Whole Foods, when the neighborhood was transitional. At that time, 14th Street was to be avoided, unless you were looking for crack or hookers. Other than the Black Cat, most everything else along the street was boarded up. However, the neighborhood was cheap enough that a recent grad like me could afford to live there. 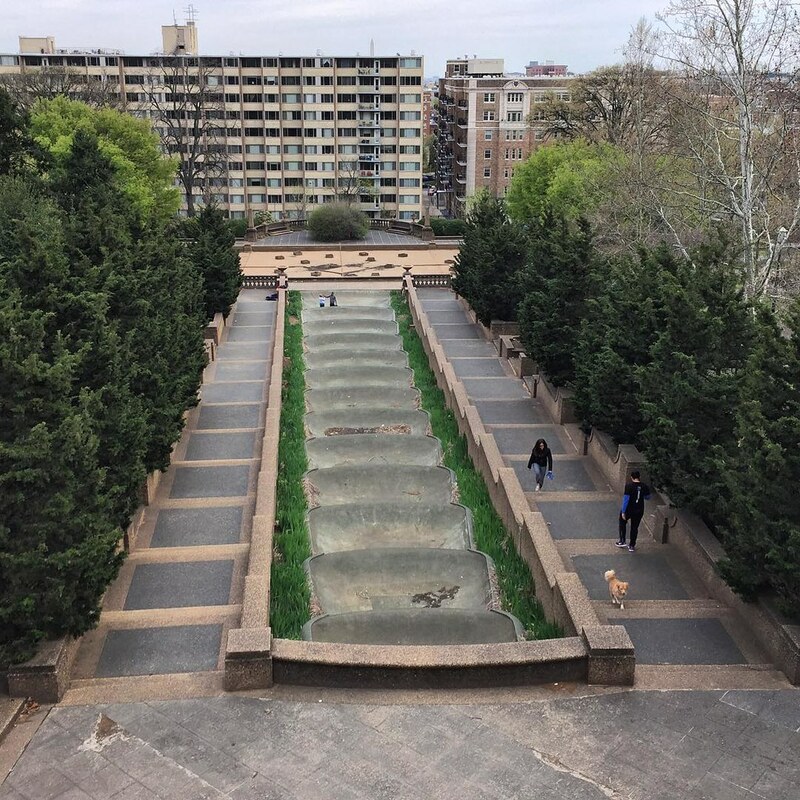 When I lived at 15th and Swann, I liked to walk up to Meridian Hill Park. Back then it was more commonly referred to Malcolm X Park, but demographic changes have made that moniker seem absurd. People do yoga in that park now. Boot camps drill bridesmaids in the morning. Bros throw frisbees around. Malcolm X Park is no more. 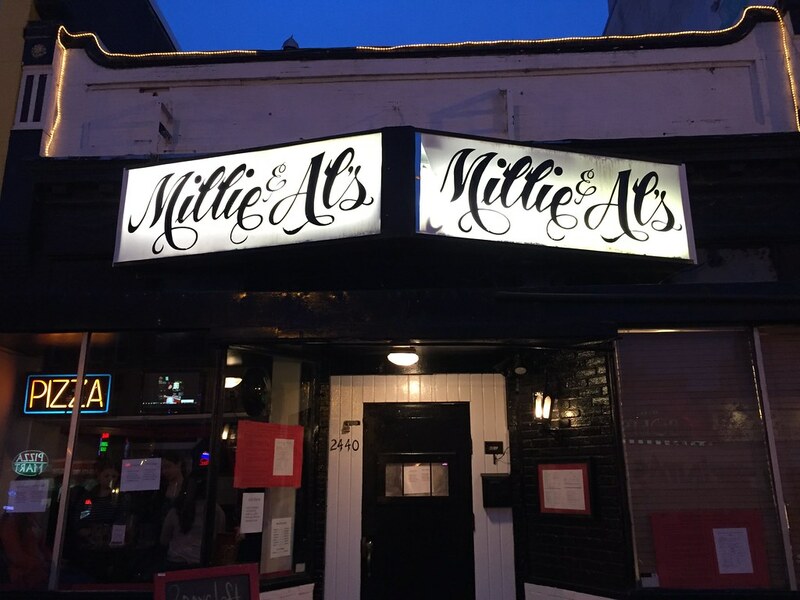 One place that remained from the 90s was Millie & Al’s. I mean literally the same, down to the same Star Trek models hanging from the ceiling and the filthy, cramped bathrooms – part of its charm. 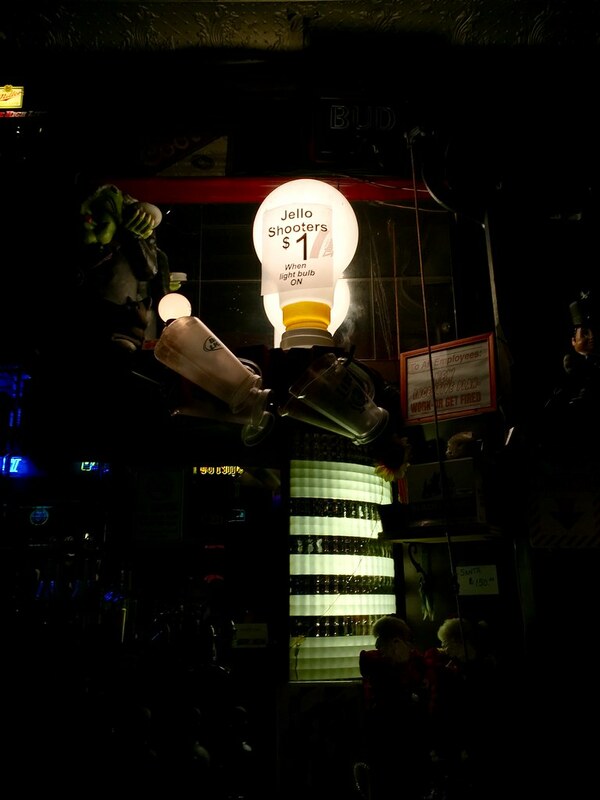 It was not a fake dive bar like hipster-friendly Showtime. It was the real thing, a place to sit in a booth and drink pitchers of beer, while you waited for the $1 jello shots sign to turn on. 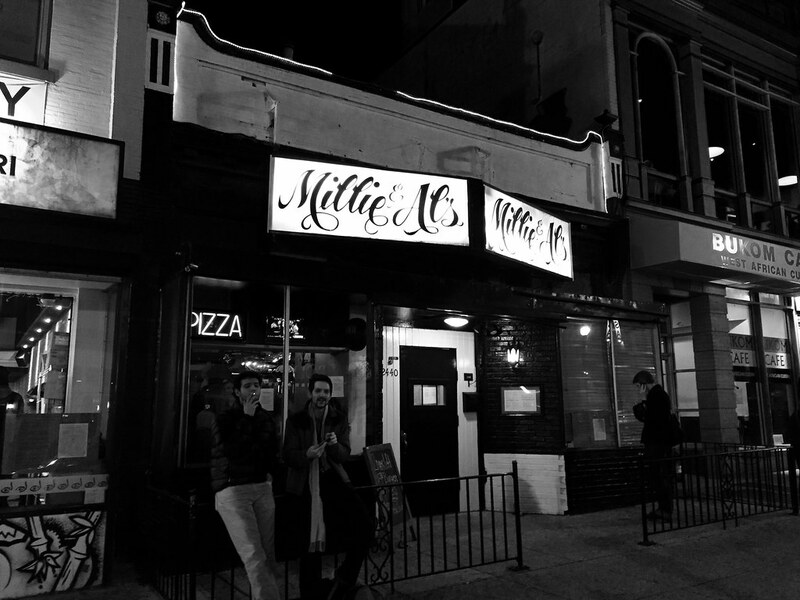 Millie’s was the first bar I ever went to in Adams Morgan. In the rough and tumble DC of Marion Barry, 18th Street still had a residential character to it – there was a hardware store along the street. The only bars were Millie’s and the even more divey Dan’s. I used to drink with my roommates Bob and Colin after taking the 92/96 bus from our apartment near National Cathedral. I liked taking people there – it was cheap and had a feel of real DC about it. Broke foreign students particularly liked it. You could go to Adams Morgan on a weekend until around 2003 before you felt like you were entering a riot zone. 18th Street turned into Bourbon Street with brawls and vomit predominant. But I guess must’ve made some impression at Millie’s because I ran into one of the bouncers about five years ago and he remembered me. Millie & Al’s closed on April 7. This dark drinking hole where beer was sold in plastic pitchers and you had to navigate a stairway to reach a couple of cramped toilets – it fetched a cool $1.8 million. Drinking is big business in DC. As a lover of dive bars, it would be easy to be melancholy. Gentrification claimed Millie & Al’s. However, this same force revitalized 14th Street and made Meridian Hill Park safe to visit. 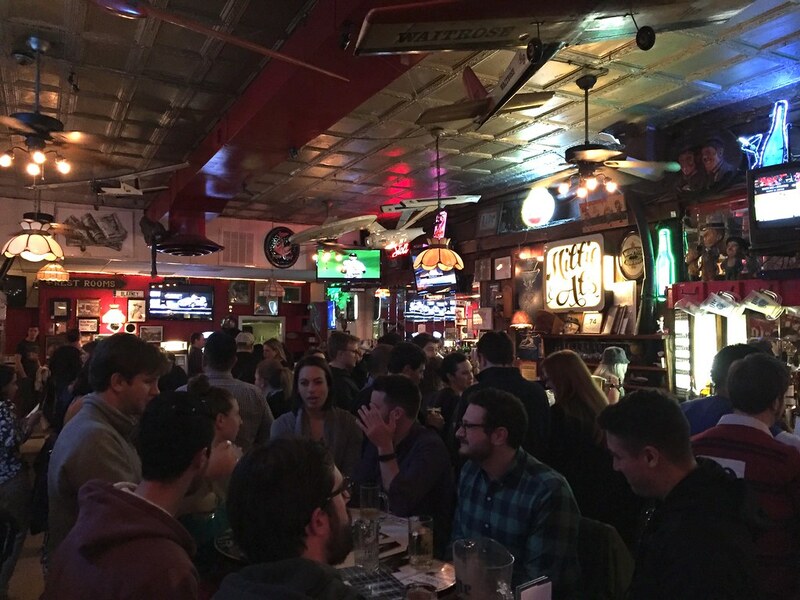 Progress is a good thing, even when you lose an iconic drinking institution.